This 5500 square foot home is located between Vail and Beaver Creek on the side of the mountain and has a spectacular 30 mile view down the mountains. Its spacious size allows for a gathering of friends or family andhas all the extras. The home has a large oversized gourmet kitchen with a center island. Four of the bedrooms have king beds. One of the other has a set of twin beds with a queen sleeper, the other has two sets of bunkbeds (full down and twin above). The home has three levels, each with great view and two living areas. The grand room is 35 x 35 with cathedral ceiling and floor to ceiling glass. The rec room on the lower level has a sitting area in front of built in cabinetry with TV, stereo, DVD, etc. Also on that level is a competition pool table and an 8 foot bar. The two areas provide a quiet gathering for one group upstairs while the other is having fun downstairs playing pool or hitting the spa features or kids playing xbox etc. Owner would be glad to offer references of those who have stayed. Patrick is a CPA and Casey has the real job, raising 3 boys ages 8,14 &15 We take extra efforts to make your Vail vacation exceptional - Please see our traveler's reviews. We have a plethora of suggestion for adventures and fun things to do in and around Vail. Don't hesitate to inquire. Wonderful home for large families or lots of friends at very affordable prices. Large, spacious kitchen with plenty of room to gather and help cook, or sit back and relax. Newly-updated beautiful granite countertops. kitchen area has a rectangle table that seats 8. The dining room has a large octagonal table that also seats eight. The house was ideal and well priced for a family get together with 10 adults and 4 kids. The kitchen was well stocked for preparation of all dinners we made at home through the week. The living room was big enough for our large group to sit together and play a game or just hang out in front of the fire and/or tv. The sauna was a real treat. The owner answered any questions we had with great haste. The driveway provided enough space for 4 vehicles despite the large amount of snow. The place is extremely close to both beaver creek and vail. Well located, spacious, a little dated/dirty. Great host. 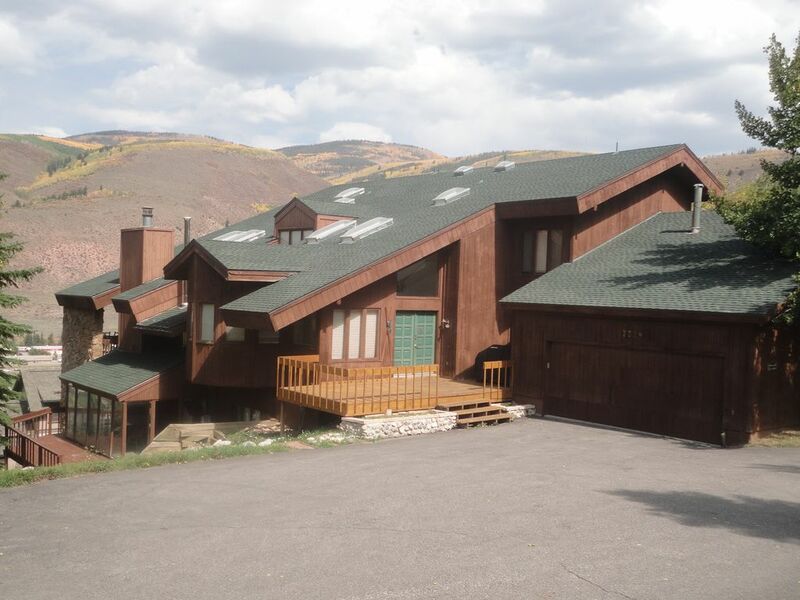 This is a perfectly located large house super convenient to Vail, Avon, & Beaver Creek. The host aims to please, and was very helpful. The kitchen had a wide variety of tools/gadgets that made group cooking pretty easy. It was spacious and worked well for 3 families, each with two kids. That said, the house is quite dated, a few things didn't work properly (or we just couldn't figure them out) - namely: (1) outdoor grill (was out of gas; we refilled cylinder and still couldn't get it lit). (2) sauna (we followed written directions, and couldn't get it working). (3) one bedroom where kids slept (downstairs, interior) was so warm that we had to leave doors open and fan on. And the house could use a deep, deep clean (not gross, but for the price, we expected better). Don't get me wrong, though. It was all pretty solid, but at holiday week prices, I expect things to be closer to hotel-like. Bottom line: I'd recommend it, but I would encourage the owner to have a deeper-than-normal-between-guests cleaning and check to make sure a few things are working 100%. Enjoyable house for a large group. Excellent, helpful, accommodating owners. Beautiful location. Home was excellent and every amenity was available for all ages of our family. Plenty of room to find time for yourself yet cozy enough for family togetherness. Patrick, the owner was very attentive to our needs and provided excellent support for our stay. If you are thinking about bringing a group or family together you couldn’t find a better place. This huge house accommodated 3 families with kids and we were able to find privacy, gather as a group, whatever we needed. We in the deck or winding down in the hot tub, the place was perfect. Excellent hosts and a luxurious experience. The rates listed are average and final rates depends on number of days rented and the total number of guest. I highly suggest vacation cancellarion insurance available from VRBO 50% payment is required to confirm reservation. If that causes a problem, call me and I will try and work with you.